Our 70s bands pay tribute to soul, funk and flares. 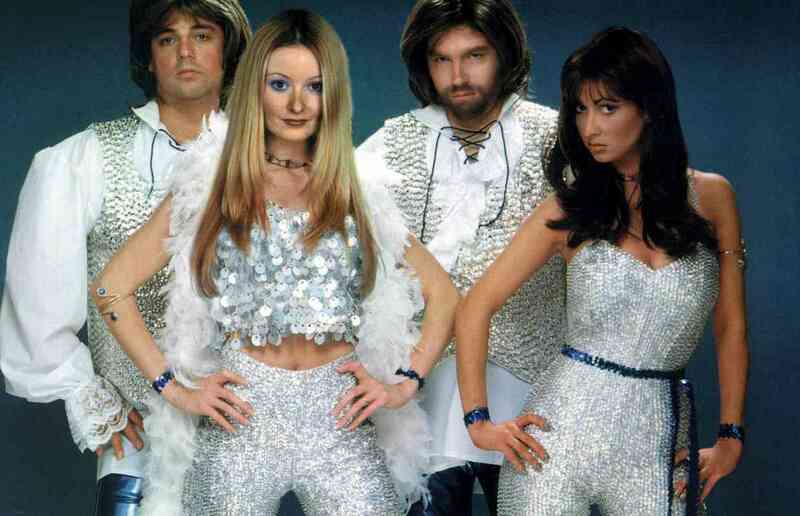 We also have acts dedicated to Swedish pop legends Abba. We have a top selection of 70s and disco themed cover bands for hire. From funk to soul and everything in between, our retro party bands play all of your favourite hits from the grooviest decade of the last century. Kitted out with bell-bottoms and loud shirts, our 70s acts fill the dancefloor with classics like ‘Blame It On The Boogie’, ‘Disco Inferno’ and ‘We Are Family’. Whether you’re having a themed event or want your wedding reception to roll back the clocks, we have the perfect 70s-themed bands to get your party rocking. We also have dedicated tribute acts to Swedish pop legends Abba. Our Abba tributes for hire are ideal entertainment for themed club nights, parties or weddings and cover a variety of the decade’s hits in authentic costume. We have compact duos (girls) as well as full 4-piece Abba tributes. We even have Abba tribute shows with backing musicians (usually a 6-piece) for the full, live experience. Boogie on down to 70s classics to one of the funkiest 70s tribute bands in town. This high-end showband are all flares, platforms and hippie chic, and their sound is as bold as their attire. Additional musicians and DJ service also available. Exceptional funk and soul band with male and female lead vocals who have performed alongside the likes of Leona Lewis and Katie Melua. Their large song list features the biggest floor-fillers from the 1970s to the 2010s. Larger line-ups available. Stunning Abba tribute band with dazzling costume changes and every Abba hit you can think of, all packed into the high energy show! Duo, Five and six piece options also available, plus optional 80s set! Six funky cats with a passion for 60's soul, 70's disco, 80's electro- funk and everything in between. An immensely popular Abba tribute act with authentic costumes and pitch-perfect renditions of all your Abba favourites. DJ service available, as well as rock'n'roll, 70s and 80s repertoire. Authentic Abba tribute band with a fantastic show including costumes and choreography! Also available with 70s and party sets, or as a duo. Additional musicians available. One of the UK's longest established Abba tribute bands, featuring stunning all live vocals, fabulous costume changes, dynamic choreography and a good helping of humour and audience participation. Sensational Abba tribute duo with an authentic sound, replica costumes, dance routines and all things glam! With spectacular dance routines, the duo offer a truly interactive experience. Experienced South East-based soul and funk band playing the best of Motown, funk, disco, acid jazz and banging dance tunes! Optional brass and percussion. Discounts available for midweek and Oct, Nov, Jan, Feb bookings. The ultimate in classy, professional and exciting live entertainment, this outstanding soul band have notched up gigs at The Royal Albert Hall, Ronnie Scott's and St. Mark's, Venice during their illustrious career. Talented young soul band featuring both male and female vocals and a 3-piece horn section, playing a selection of classic disco, funk and soul tunes. *London events only*.